Cricket Pundits have written numerous articles and given various talks about the talent of batsmen and the skill of bowlers. While it is indeed true that the game is now very much skewed in favour of batsmen, the bowlers have managed to step up too and have held their own in test cricket, where taking 20 wickets and not scoring runs determines the outcome of the game, and hence both sets of protagonists are being lauded. While this is fair enough, the supporting actors called wicket-keepers are often neglected and their importance downplayed. To crouch behind the stumps ball after ball, over after over for bowler after bowler and that too at 100% concentration requires dedication and hard work of the highest level, for great wicket-keepers are not born, but made. At the start of his career, Stewart was a specialist opening batsman for England, with wicketkeeping duties being retained by Jack Russel, who was generally recognized as the more superior gloveman and who batted down the order. However, Russell, the inferior batsman, would often be dropped to improve the balance of the side. 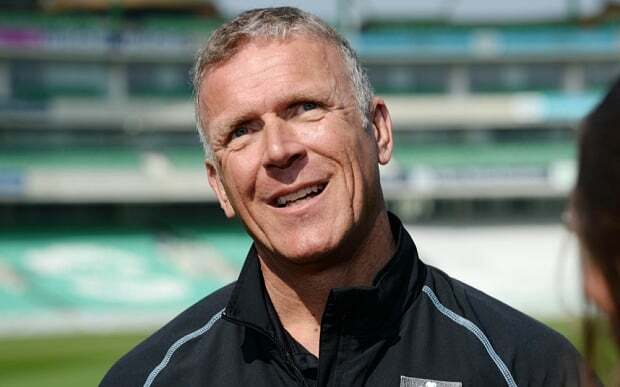 Always more of an establishment figure than any sort of rebel, it was no surprise when Stewart was asked to captain England in 1998 when Mike Atherton resigned. Despite being the age of 35 at the time, Stewart’s level of fitness was impeccable, especially bearing in mind that most players do not continue beyond 37. As it was Stewart went on to play for England beyond his 40th birthday – but as events were to transpire – his captaincy of England barely lasted 12 months.